LIMITED TIME ONLY (LTO) presents MAD-LIB[rary] Vol. 3 at Independent Curators International (ICI), in partnership with the Feminist Press. The creative collaborative and production team LIMITED TIME ONLY (Legacy Russell, Stina Puotinen, and Sarah Giovanniello) invite you to join an exciting new “choose-your-own-adventure” hosted at the ICI Curatorial Hub. The MAD-LIB[rary] will be an opportunity for the public to participate in true Mad Lib fashion in a zany, surreal, Dada-inspired, and perhaps nonsensical assemblage extravaganza. MAD-LIB[rary] invites artists and writers—an explosive combination of luminaries and rising stars—to contribute limited edition material of their choice. The event will provide attendees from the realms of the art and literary worlds alike an opportunity to curate their own magazine or booklet content, and B-Y-O-creative-vision. 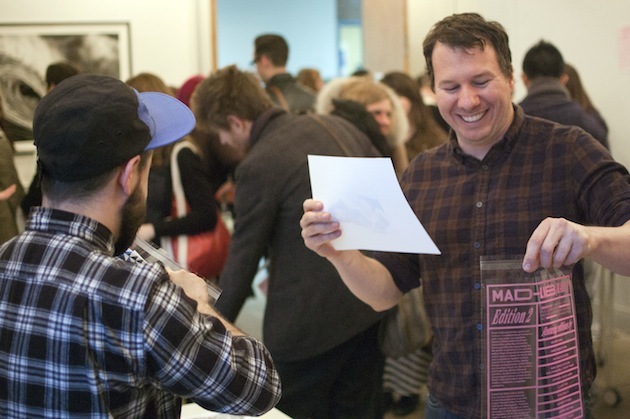 Paying homage to the histories of literature, art, book-art, found art, flea markets, and book fairs, MAD-LIB[rary] provides an alternative from the glossy, pre-packaged culture of mass media. MAD-LIB[rary] is all at once a living archive, a museum, a magazine, a madness—on July 16, get crazy with us! Program and book cover design by Braulio Amado for LIMITED TIME ONLY. This event is free and open to the public, but space is limited. Please RSVP to rsvp@curatorsintl.orgwith MAD LIBRARY in the subject field.